This question have been left unanswered for decades and yet the so called "men of God" always claim God spoke to them from time to time. Is this really true? Are are they just using common sense on their followers? I have read a lot of books which negates the idea that God speaks to people. Some say he speaks in small still voice some say they heard him in loud and horsky voice like they some time depicts in a movie and some say he speaks to them through dreams. Which is it? The antics of most preachers today is speak with common sense, look at you and imagine what you are going through and speak as if God told them. Some even speak based on your Zodiac signs. Which of them is God really speaking? I'm confused even as I write this episode. Susan B. Anthony said and I quote 'I dislike those who are 100% convinced that God spoke to them because most of the time, is just for their own desires. Who is God and does he really speak to people? Have anyone ever seen him? Does he exist? Even the picture I used above is the picture of American actor, Robert Powell (born 1 June 1944), an English television and film actor, best known for the title role in Jesus of Nazareth (1977), since then, almost every Christain, especially Catholics have this same picture in their houses to depict Jesus Christ picture. A picture of a merely actor. Suffice to say, the actor has even come out repeatedly to warn people to stop worshiping him, that he is not Jesus Christ. 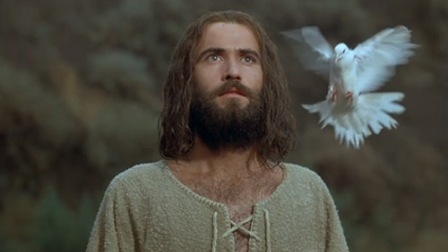 That he is just an actor that acted as Jesus in the movies. Though in the recent Jesus Christ movie document "the passion of Christ" which was directed by Mel Gibson, Jim Caviezel was the one that played Jesus Christ and yet they use this faces of fictitious actors in the churches and to build cross depicting Christ. It makes one wonder the efficacy of the bible itself. Who is God? Have he spoken to you before?